Results of OLAP queries for strategic decision making are generated using warehouse data. For frequent queries, processing overhead increases as same results are generated by traversing through huge volume of warehouse data. Authors suggest saving time for frequent queries by storing them in a relational database referred as MQDB, along with its result and metadata information. Incremental updates for synonymous materialized queries are done using data marts. This article focusses on saving processing time for non-synonymous queries with differed criteria. Criteria is the query condition specified with ‘where' or a ‘having' clause apart from equijoin condition. Defined rules will determine if new results can be derived from existing stored results. If criteria of fired query are a subset of criteria in stored query, results are extracted from existing results using MINUS operation. When criteria are a superset of stored query criteria, new results are appended to existing results using the UNION operation. 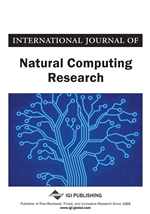 For faster query result retrieval, multidimensional cubes and their issues are discussed in (Vassiliadis, 1998), (P. Vassiliadis, 1999), (Harinarayan, 1996; Colossi, 2002; Datta, 1999; Agrawal; Deshpande, n.d.; Shanmugasundaram, n.d.; Li, n.d.) are used to store aggregate results from data warehouse whereas materialized views and their maintenance is discussed in (Gupta, 1993; Gupta, n.d.; Zhuge, 1995; Gupta, 1996; Ross, 1996) are used to store results of OLAP queries executed on data warehouse.